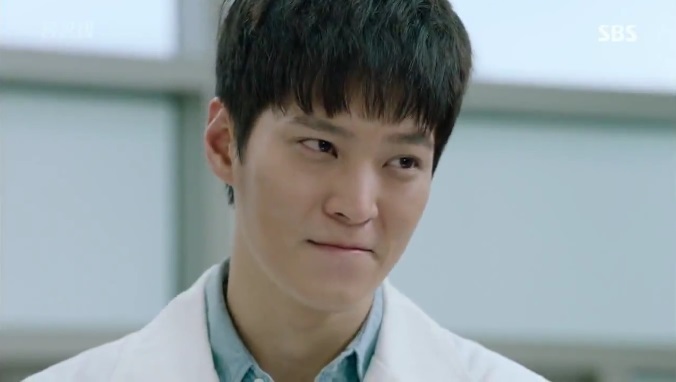 At home, Yongpal was the ratings winner among the dramas aired in the same timeslot despite just premiering. It raked in 11.6% for the opening, and the numbers have continued to climb since- it achieved 16.3% nationwide for the latest episode. 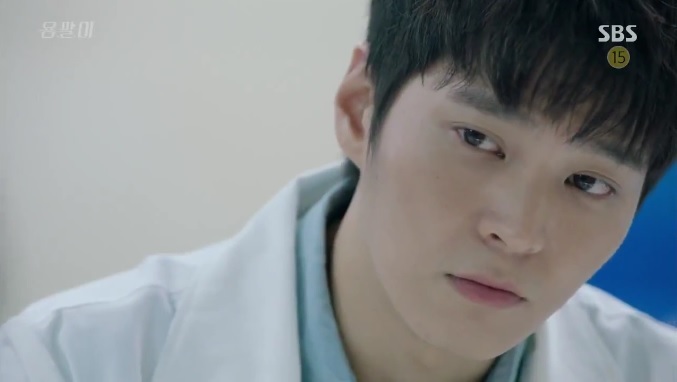 We meet our hero, Kim Tae-hyun (Joo-won) as a resident in the surgery department of the hospital. 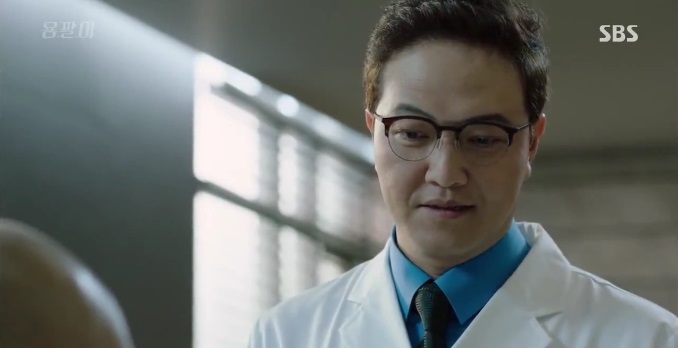 And we also know of his night job: treating patients in secret under the titular codename “Yongpal”. Tae-hyun is written very uniquely and in only 4 hours, I saw multiple sides to him. Firstly, he knows no boundaries with regards to money. This could be seen on several occasions from the start and even the people around him are convinced that he is into this profession for the high pay (because all he cares about is the bills, or so everyone thinks). With the help of his loanshark friend Man-shik who tabulates the accounts, he treats anyone in need of medical care, regardless of background and status, as long as he’s paid for the job. No questions asked, just do it. We see another side of Tae-hyun when he has conversations with his little sister So-hyun. 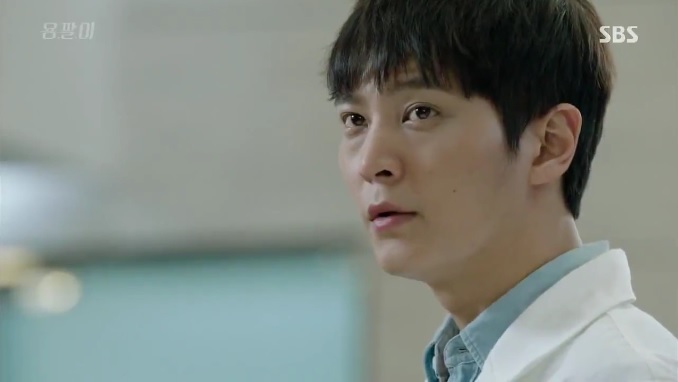 Cue teary eyes Somehow, his endearing expressions here remind me of the ones he had in Good Doctor ❤ He is genuinely concerned about his sick dongsaeng’s well-being, from the way he ensures she visits the hospital regularly for dialysis and how he constantly thinks about her no matter what kind of situation he is in. This is what drives him to put himself in danger just for the extra income, and he’d rather tread thinly along the moral limits even though he knows that it’s wrong. This part of him really captures my attention, because he hovers around the grey areas of ethics in practising medicine. Yes, the gangsters and thieves do eventually recover from their injuries through the hands of Yongpal but it doesn’t mean that it’s the right thing to do. Amidst all the imminent darkness looming ahead, there are small little comedic moments which cause me to erupt in giggles, like during Tae-hyun’s interactions with the nurses at the counter and his direct superior Tae-yong. It is during these times that Tae-hyun paints a perfect picture of his obsession over money and actually doesn’t attempt to let people think otherwise. He purposefully wants everyone to think of him that way and does nothing to deny or object this impression that others have on him. Even as he makes his way up to cater to the rich, he continues to let the higher-ups think he’s there just to get more cash benefits. This includes Chief Lee (Jung Woong-in) and Director Byung of the hospital who are all out to use his brains, ability and greed to their advantage. Chief Lee spends more time entertaining patients he calls “clients” and remaining in the good books of Director Byung than on doctoring, as seen from his rusty surgical skills and jittery nerves in the operating theatre. 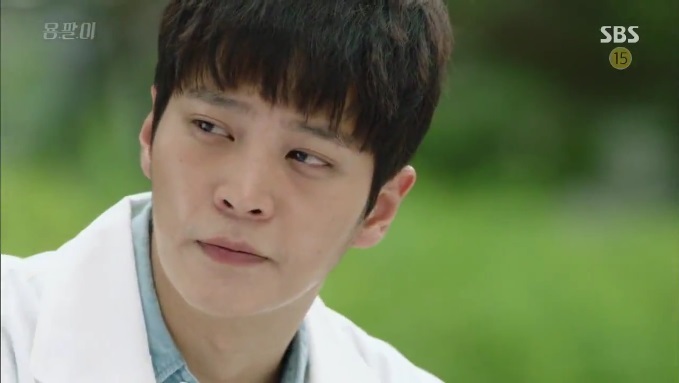 From the way he speaks with Tae-hyun, he is really demanding and authoritative as he gives no way for Tae-hyun to climb over his head once he’s got a trump card: Yongpal’s identity. And Tae-hyun has no choice but to put down his pride and submit to him, because he can’t risk getting exposed, which would potentially result in his medical license revoked. I’m curious as to how his position is going to be affected with Tae-hyun’s entrance to also become face-to-face with the chaebols, and I’m sure he won’t be able to take it lying down. An introduction to the heiress of Hanshin Group, Han Yeo-jin (Kim Tae-hee) leads us straight into her life story before she got into a comatose state and the psychological warfare that she’s having within her mind. It must be so difficult, seeing how she is still and quiet physically but with her nervous system raging like waves. Her inner pain is obvious, and I cannot imagine the turmoil she has gone through being trapped in that VIP suite 😥 She’s curious about her surroundings and can’t wait to get back at her enemies who did this to her. Go Yeo-jin, fighting! I can’t wait to see more of Yeo-jin in action, and how she could become an ally to Tae-hyun in time to come. 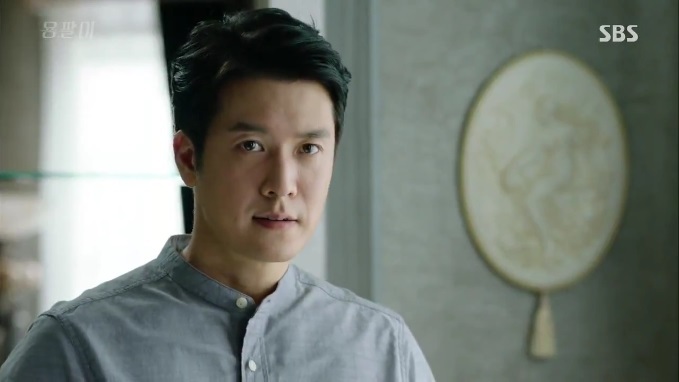 The man who wields the most power to control Yeo-jin in that room is none other than her brother, Han Do-joon (Jo Hyun-jae). He has the desire hold the position as Chairman for as long as possible, or maybe even forever. Being the one who started the nightmare for Yeo-jin, he is definitely not just a simple company man. He is smart and plasters a fake smile in front of his wife, Lee Chae-young (Chae Jung-ahn) but gets his secretary to check on her in secret. He can’t even trust his wife, who could be privy to his schemes and may just ruin his plans to rule Hanshin Group. Now that’s scary. Chae-young puts on an innocent facade and acts as if she is unaware of the going-ons surrounding her husband and Yeo-jin. In fact, she is keenly listening to everything. I am glad that there is at least one person in Hanshin who is on Yeo-jin’s side 🙂 She has found a new friend in Tae-hyun, who’s still a rookie on the VIP floor and of course she has her motives but I can’t help thinking that she would soon be of great help to Tae-hyun and Yeo-jin. Although she risks getting found out by Do-joon, she will be safe if she takes careful steps. And she knows that she’s constantly being watched, so it seems like she is doing things intentionally for now. Her interactions with Tae-hyun add spice to the drama and I’m enjoying it so far. On the VIP floor, we also have the administrative salesperson Cynthia Park (Stephanie Lee) who knows her way in this game played only by the rich though she technically isn’t. Classy looks aside, she manages to find a connection with Tae-hyun despite both parties having just met. She knows that it’s not worth it to take risks for the top 0.1% of people in society whom they serve because well, their level of concern is zero. I would love to see more scenes between her and Tae-hyun, because this is another pair who could have great rapport in their partnership. 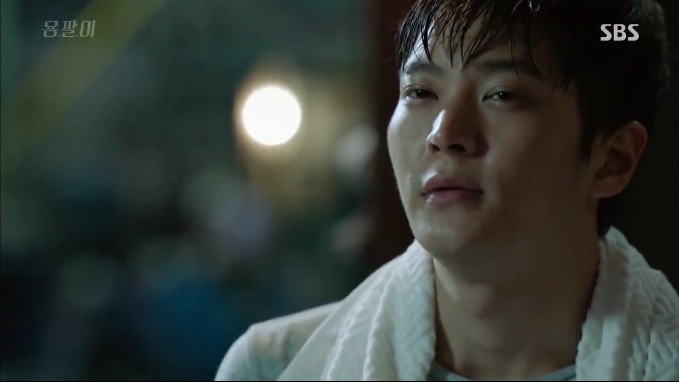 Even with all the stylish visuals, Yongpal runs with a plot that has a firm grasp on reality because this is a world where money matters a lot and anything could be achieved as long as you have that. Money means power, and that explains why Tae-hyun has such a practical mindset on this issue where he is bent on making tons of money. He also does not forget to remind us that no matter how idealistic our fantasies can get, the reality is that the world is not as rosy as it seems because doctors cannot just be all about humanity. This is another reason why I like the drama: it is relatable at some parts and not entirely fictional. Yaaaaay!!! you’re recapping this drama? Thank you!!!! this drama is fun! lol, really? sorry for assuming…but thank u anyway for sharing your thoughts with us on this drama…hopefully, it keeps up its awesome momentum and not go downhill in the middle. Certain dramas did that for me and i end up losing interest. so let’s hope it won’t be the case for this one too. No it’s fine! You’re welcome 🙂 thank you for reading too. Yes hopefully. At this point I think it’s great and I’ll be staying with it.